MINECON 2011 was held at Mandalay Bay, Las Vegas, Nevada on November 18, 2011, coinciding with the official release of the game. There were 4,500 attendees at MINECON 2011, aging from new borns to 105 year olds and coming from 24 countries. Events included the Kickoff party, which everybody was invited to, and the Into the Nether party, featuring deadmau5, where only attendees 21 years and over were allowed into. Mandalay Bay Resort and Casino: 3950 South Las Vegas Boulevard, Las Vegas, Nevada. Tickets went on sale on the August 11, 2011, 99 days before the start of the conference on November 18. The early-bird price was $99, which ran until September 30. After that, the price (including the price at the gate) became $139. However, as of October 28, the tickets were all sold out. The price did not include hotel rooms, flights or any other costs involved apart from entry to MINECON. On the date tickets went on sale, Notch gave the opinion on Twitter that "No matter how many tickets we sell, MINECON is going to be a monetary loss for us. But an emotional win! ;D"
The first 500 ticket purchasers were entered into the drawing to receive "The Ultimate Fan Experience". The winner won a paid-for hotel room at Mandalay Bay Hotel and Casino, VIP seating to keynotes and presentations, and a meal with the Mojang team. The draw was won by a player named Joseph. 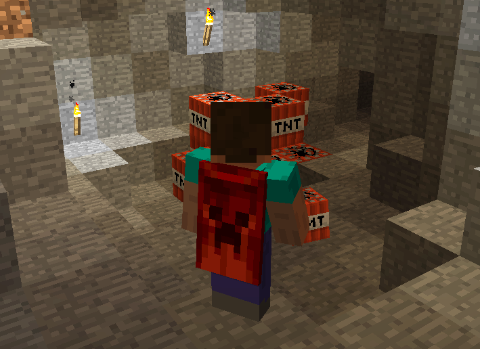 Notch announced that those attending MINECON 2011 would receive an exclusive MINECON 2011 cape. He quickly removed the announcement and said it was supposed to be a secret. On September 27, a new photo of the official cape was released along more information on who would be attending the convention. The cape was given to all attendees on October 10–11.